One of the biggest surprises at this year’s Geneva Motor Show was the Mitsubishi Engelberg Tourer Concept, a four-wheel-drive, plug-in hybrid SUV that’s jam-packed with advanced technologies. And to be clear, it’s not built on the same unibody platform that underpins the current Outlander PHEV, but rather a new platform sourced from the Renault-Nissan-Mitsubishi Alliance. But the big question is this: will Mitsubishi build it and, if so, could it be next the Montero that’ll also be sold in the US? We spoke with Tsuneshiro Kunimoto, Corporate Vice President and General Manager of Mitsubishi’s design center, at Geneva and asked him two things outright: Is a production version coming and, if so, will it be sold in the US? We pressed Kunimoto-san for a production timetable but he could not go into the details. However, his enthusiasm for the concept was quite evident. Last year at Geneva, Kunimoto-san made it quite clear to us Mitsubishi wanted to return to the American SUV market. True to his word, this year came the Engelberg concept. We’re definitely seeing a pattern here. 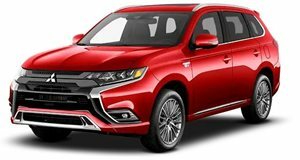 Could Geneva 2020 be when Mitsubishi unveils a production-spec version for global markets, including the US? Kunimoto only smiled when we asked him about that possibility. "See you next year,” he said as we concluded our interview.